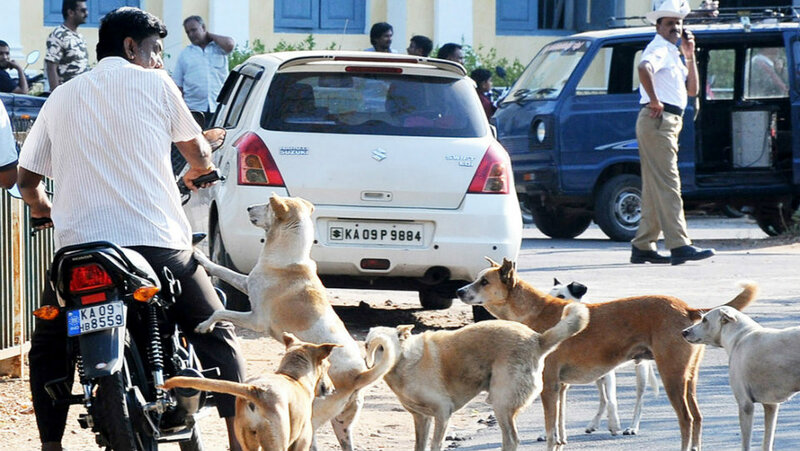 Six persons were injured when a pack of stray dogs attacked them at Dandikere Village in Varuna Hobli in the taluk this morning. Three of the six injured who are being treated at K.R. Hospital here have been identified as Mahadev, Raju and Shivaiah. Meanwhile, residents of the village, upset over frequent incidents of stray dog attacks, met Gram Panchayat President and demanded action to stop the menace and save people from such attacks in future.